TBC was formed in 1978 to ensure Torquay was represented as the premiere surfing centre of the state in all surfing events. 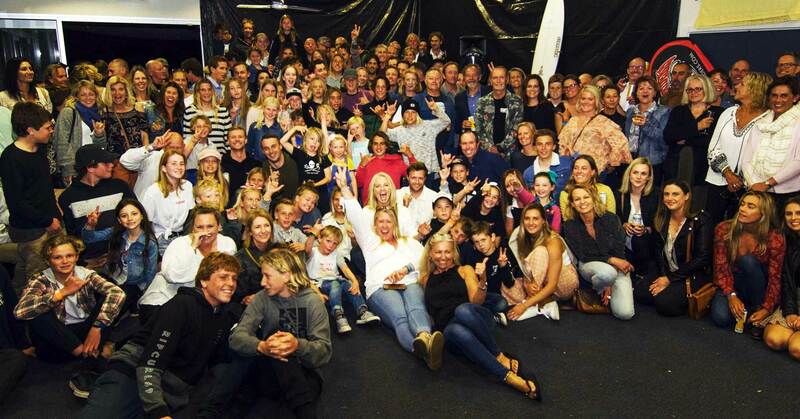 The Torquay Boardriders Club has evolved over recent years into highly social family based club with participation by first and second generation surfers promoted, coaching and training programs conducted to ensure juniors are supported in their surfing development and well managed events are a priority. Successful competition results in individual and team events fly the flag for the club, but a lot of work is spent on nurturing the club junior talent, getting involved with local government beach use issues, community involvement such as promoting surfing law actively and such programs as Sunsmart. – Recognised by the Surf Coast Shire as the home competitive club at Bells Beach. – 2017 Victorian Team’s Titles Champions – 8th consecutive win. – 2017 Victorian Junior Teams Titles Champions – 2nd consecutive win. – Only Boardriders Club in Australia in 2017 to hold two Australian Junior Champions. – Nationally revered Junior Development Program. – Strong and longstanding links to the local community and surfing industry businesses and organisations. TBC strives to maintain it’s position as the dominant competitive club in Victoria. We focus on the younger members to ensure our future competitive success in team and individual events and to nurture a healthy surfing community. LEADERSHIP – Be proactive, be clear in direction and create a culture of ‘leading by example’. STEWARDSHIP – Protect the Bells Beach spirit of surfing by respecting the ocean, respecting the land and respecting each other. PIONEERING – Be courageous and inspirational in embracing change and breaking new ground. INTEGRITY – Earn the respect of others through listening and being both trustworthy and appreciative.